Put the flour and mustard powder in a mixing bowl and rub in the butter until the mixture resembles breadcrumbs. Mix in the cheese, adding enough water to form a firm dough. Turn onto a floured surface and knead lightly until smooth. Roll out thinly and use to line 4 individual 4inch pie pans. Add the broccoli to boiling water and cook for 5 minutes. Pour into a colander and drain well. Mix the eggs and milk together stir in the cheese and mustard powder and add salt and pepper to your taste. 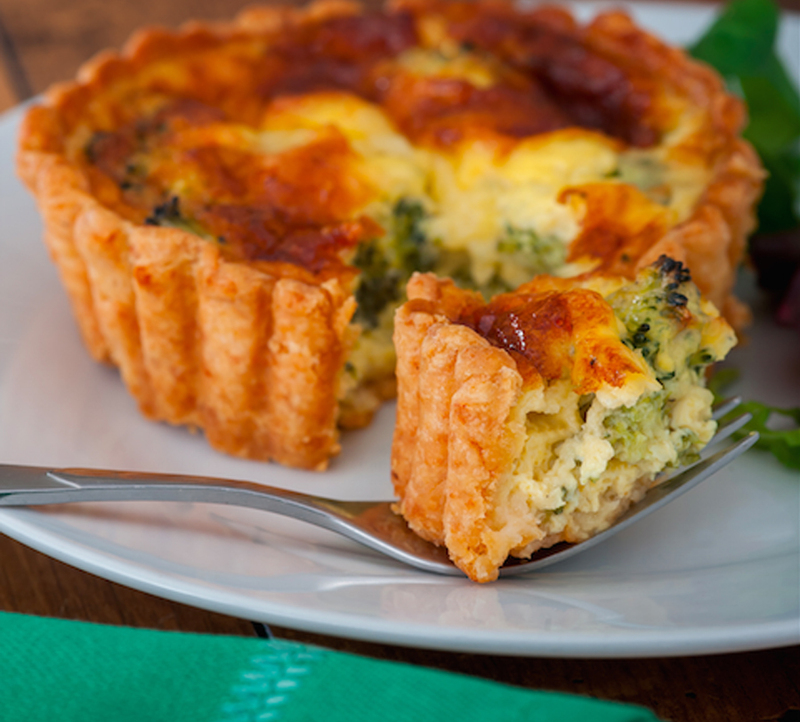 Arrange the broccoli in the pie cases and spoon the mixture over. Cook at 400F for 10 minutes then reduce the oven temperature to 350F for a further 10-15 minutes until the mixture is set and the pastry a golden brown.